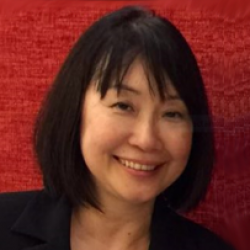 Christine Goh is Professor of Education (Linguistics and Language Education) and the Director of the National Institute of Education, Nanyang Technological University, Singapore. She completed her PhD in Linguistics at Lancaster University, UK. Her MA in Applied English Linguistics degree was obtained at the University of Birmingham with the support of the UK government’s Chevening Scholarship. Before her appointment as NIE Director, Christine was the NIE Dean of Graduate Studies and Professional Learning. She was actively leading NIE’s strategic initiatives for teacher continuing education through in-service courses and graduate programmes. She was a member of the NTU Academic Council’s Advisory Board, which advises the university on matters such as new academic programmes and appointments. She also served previously as a member of the University Senate. Christine sits on the editorial board of several applied linguistics journals and had been the co-editor of two international education journals: Asia Pacific Journal of Education and Pedagogies. A qualified teacher turned researcher and teacher educator, Christine is known internationally in the field of applied linguistics, particularly for her work in bilingual/ second language oracy and metacognition. She publishes extensively and contributes to theory building as well as academic and professional discourse in English language teaching, learning and assessment. An author of 11 books and over 80 peer-reviewed journal articles and international book chapters, Christine is a widely-cited scholar and many of her books and articles are important references in language teacher education and graduate programmes around the world. She has also advised the Ministry of Education of Singapore on English language education and research. As a faculty member in the English Language & Literature Academic Group, Christine has taught and managed various undergraduate, pre-service, in-service and higher degree courses and programmes, and she has been a research supervisor to many Masters and PhD students. She continues to supervise doctoral students. Christine received two NIE teaching commendation awards and was conferred the Public Administration Medal (Bronze) in 2014. Christine tries to balance her work as an academic and an academic leader with other important things in her life. Christine’s weekends are spent mostly with her family and their two cats, and on walking and writing. She is also involved in a weekend community story-reading programme that encourages young children to love books and imagination. She keeps in touch with the world beyond Singapore through listening to the BBC World Service every day and enjoys conversations with colleagues and friends. She also finds opportunities to learn from interesting people around the world through their podcasts, videos and books.